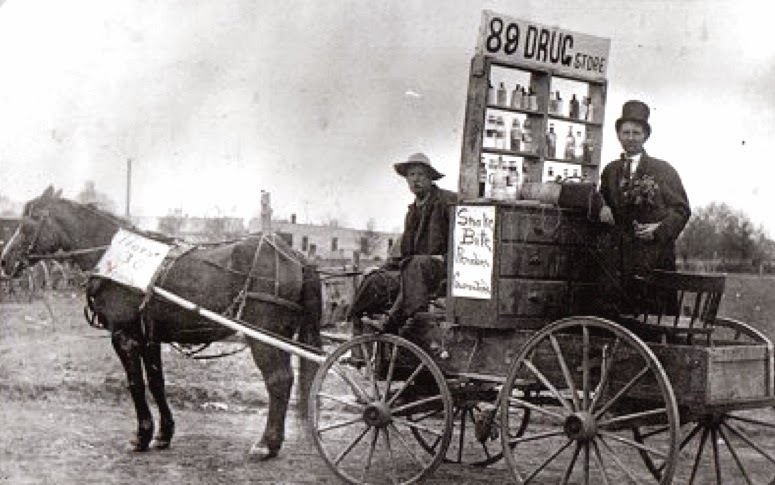 Are management consultants no better than the charlatans of the Old West selling snake oil? In light of recent supply chain events, such as the discovery of faulty ignition switches in General Motors cars, I was particularly drawn to the discussion in Douglas Hubbard’s book, The Failure of Risk Management, on how organizations ranging from the United States Government to large pharmaceutical companies can fail to adopt the most effective risk management methods despite their best efforts. Risks in the supply chain, after all, are highly relevant and can have disastrous consequences: wasted resources, the selection of a poor advertising agency, or even a fatal factory collapse in Bangladesh. Hubbard is scathing when it comes to management consulting, likening the seemingly “scientific” methods adopted by organizations to reduce risk—scorecards, Key Performance Metrics, and market assessments—to using astrology to predict the future. How can a consultant brought in from the outside possibly understand all the intricacies of a business? And the so-called metrics used to evaluate suppliers? What about those infamous RFIs and RFPs? Aren’t they just, well, arbitrary? I admit that Hubbard is quite convincing when he points out the dangers of putting too much stock in weighted scores and other metrics. He emphasizes that organizations should depend on strong quantitative analysis by making statistical inferences based on large samples and looking for direct causes and effects. But before we start panicking and overhauling supplier selection processes and discounting benchmarking, it’s important to take a step back and note some points. First off, sourcing practices have evolved to be more robust than Hubbard asserts. When implementing sourcing strategies for clients, for example, firms make significant efforts to assess various data. They are also equipped with resources and tactics to reduce risk, such as reviewing a supplier’s financial stability and actually looking at the effects of reducing costs (rather than just cutting costs). In procuring marketing services, for instance, consultants often work with the legal departments of both the client and the supplier to ensure that contractual obligations are met, and the actions to be taken if they are not. Moreover, there are several components involved in risk management, and many of these components are qualitative in nature. When it comes to risk management in supply, activities can also include forming strategic alliances, investigating buffer strategies, and assessing various process improvements. For a more specific example, see how business disruptions can be addressed in telecom and IT. Furthermore, as pointed out by Steve Culp in Forbes, in an environment of increasing geopolitical risk and globalized supply chains, it is important to engage in risk management strategies that evaluate the whole, not just the parts. The systemic nature of supply chain risks means that the entire organization can be affected in the event of a mishap; in large organizations, it’s difficult for departments to have the resources or communication channels to see beyond their immediate day-to-day tasks. As stated by Yves Leclerc of West Monroe Partners, good risk management is “both a technology and business-process effort.” Areas that need further improvement include gaining access to greater visibility, encouraging collaboration among supply chain partners, and breaking down the “silos” disrupting the flow of information within a company. At the end of the day, CPOs have their work cut out for them. Rather than dismiss the resources in risk management off hand, organizations should work with their procurement teams to gather quantitative as well as qualitative information, and to use this data to build more comprehensive and creative frameworks to assess their sourcing strategies. I agree with much of what you have written and would further state that client companies that want to run a proper risk mitigation strategy frequently have no time, experience, nor resources to address such a project. Cost to qualify alternative materials and suppliers to mitigate risk frequently are not budgeted (batch runs, testing, QA, analysis, aging studies, more analysis, comparison, reports, Regulatory submissions, retention, disposal, etc) and as such it all becomes additional layers of challenge in properly addressing risk.Thought provoking. Thank you.